Dress your little boy in this shirt from Tales & Stories, and he's ready for a day of fun with friends. 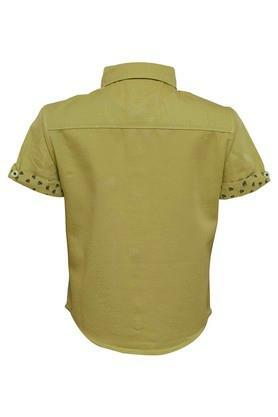 This shirt with collar and half sleeves is sure to appeal to your child, as it is made from cotton and sports a solid pattern that renders its classy look. Ideal for wearing on a regular basis, this shirt will be a nice addition to the apparel collection of your son. 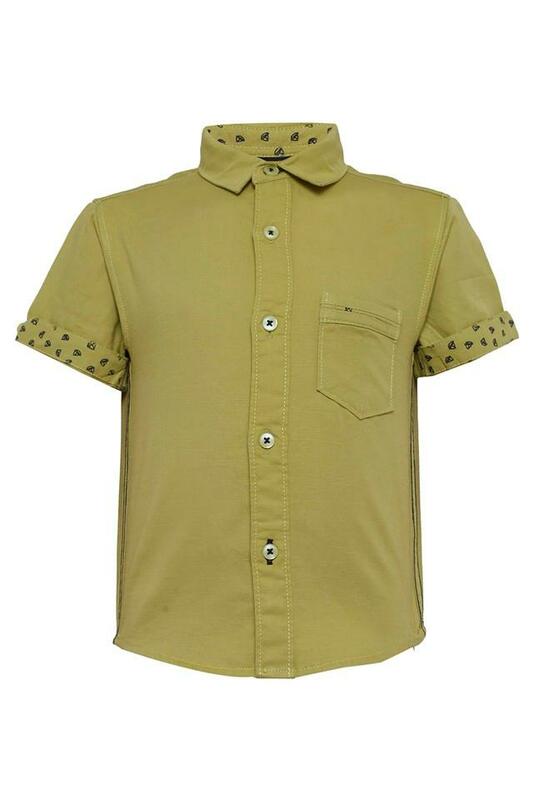 This shirt will go well with a pair of shorts and sneakers.